Hedda Krausz Sjögren was born and raised in Sweden. As a prominent producer, playwright, and activist, Hedda’s documentary theatre performances focus on women’s rights and human rights to bring about social change through media and the arts. Today, Sweden is a world leader in its efforts to protect and encourage human rights, diversity, civil society, and culture. And yet, they have a long and little-known history mistreating the Roma people. Sweden recognizes that it must provide equal rights to the Swedish Roma and develop initiatives for their inclusion. 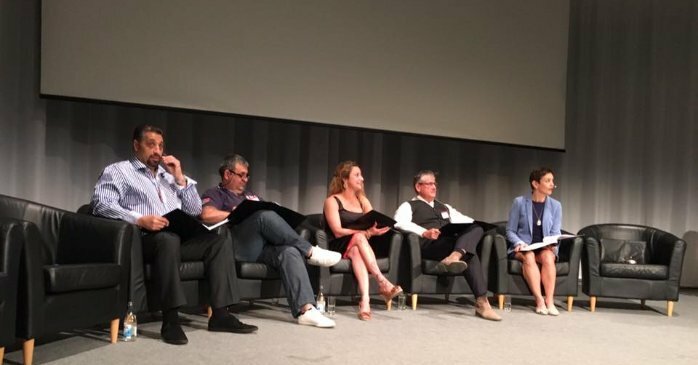 Commissioned in 2016 by the Swedish government coordinator for Roma Inclusion, Hedda produced “Roma Voices”, which appeared at Sweden’s national conference for the inclusion of Roma (pictured above). “Roma Voices” tells stories of five people and how they are affected by their identity, treatment by friends, colleagues, and the government. The production is part of a 20-year strategy for inclusion of the Roma into Sweden’s society. Its work began with The Dark Unknown History: White Paper on Abuses and Rights Violations Against Roma in the 20th Century. The Swedish government believes that “Roma Voices” will help bring about a much-needed change in Sweden by engaging government at all levels and encouraging discussions between Roma and non-Roma people. In Hedda’s opinion, the Roma are treated the worst of all of the minorities, including the Sami and Jews. Because of their mistreatment, many Roma people are reluctant to share their ethnic identities, making it difficult to calculate their population in Sweden, which is estimated at around 50,000 (.53% of Sweden’s population). A government-supported investigation into the treatment of Roma estimated that 80% of Roma were unemployed and the majority of Roma children did not complete primary school. 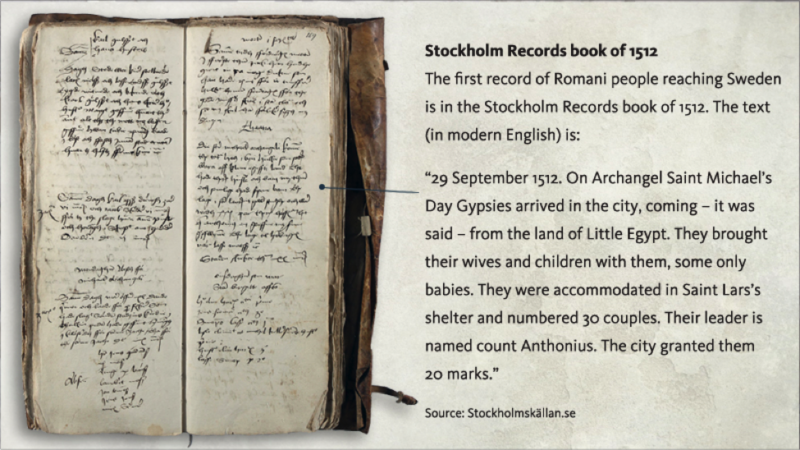 Since they’re first arrival in Sweden in 1512, strong enforcement to reduce the Roma population included deportations, removing children from their parents, and forced sterilization. As recent as 2013 in southern Sweden, a police force registered more than 4,000 names of members of or people connected to the Roma community. This register scared many in the Roma community. The police denied such profiling and an investigation proved otherwise. The Swedish authorities shut down the register. Sweden recognizes this is a symptom of a larger problem that needs healing. Hedda explained that the Roma are in fact a diverse people made up of a rich culture of languages, music, and art. Yet many of the Roma people know nothing about their own history. Little has been written down about the Roma people and specifically about individual families. Many families have changed their names and, it seems to Hedda, that this was in an effort to erase who they were because they were so badly treated by others. Because the Roma are ostracized and discriminated against, many Roma people hide their identities so they can find work, go to school, and live in the mainstream. But not all Roma hide or feel shamed. Since the 1970s, Swedish-Romany musician Hans Calderas has performed on stage in Sweden and abroad, recorded music, and worked with governments and the Living History Forum to promote and celebrate Roma history and culture. In commeration of Holocaust Rememberance Day, Janary 27, 2017, Hedda shared the photograph and the following caption on Facebook, "They fled or hid or pleaded to get to stay in safety, but they all survived. All in different countries and some of them separated from their children. My grandfather Steffen and his siblings Elisabeth, Alex and Anna." Hedda connects deeply to the Roma people’s struggle to assert their identity and culture without feeling humiliation or fear. She is motivated to help the Swedish government integrate the Roma people. Her incentive comes in part because of the history of her family, specifically her grandfather who grew up in Budapest, Hungary before World War II broke out. Hedda imagines her grandfather was a good-looking, athletic, and fun loving “cool guy”. But his natural vivacity and spirit was wiped away when he was not allowed to attend university because he was a Jew. He left Hungary for Sweden and was nearly kicked out of the country in the middle of the war. His family was shattered and for years he did not know whether his siblings survived the war. He was forever scarred, suffering a deep depression for the rest of his life. 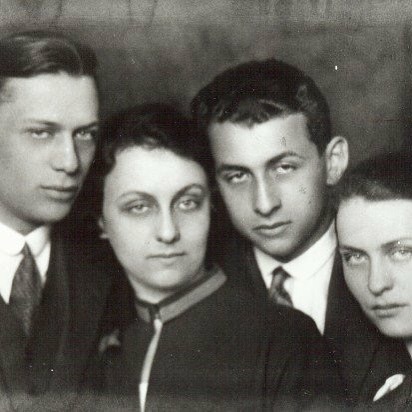 According to Hedda, it was vital for her grandfather to raise his daughter’s (Hedda’s mother and aunts) so that they did not identify strongly as Jewish. He wanted them to assimilate in Swedish society because he believed this was a way of protecting them from the racism he experienced. Now Hedda’s teenage son is eager to learn more about his family background and religion, which were hidden in his family’s shadows for two generations. Hedda has worked on several plays, all telling the story of human rights. Her play called A World to Live In is about Swedish Amnesty International Activists, commissioned by the Riksteatern in 2011, touring in more than 30 cities around Sweden and The Empty Chair, staged in 2014-2015, about 10 Swedish Per Anger Prize winning activists. 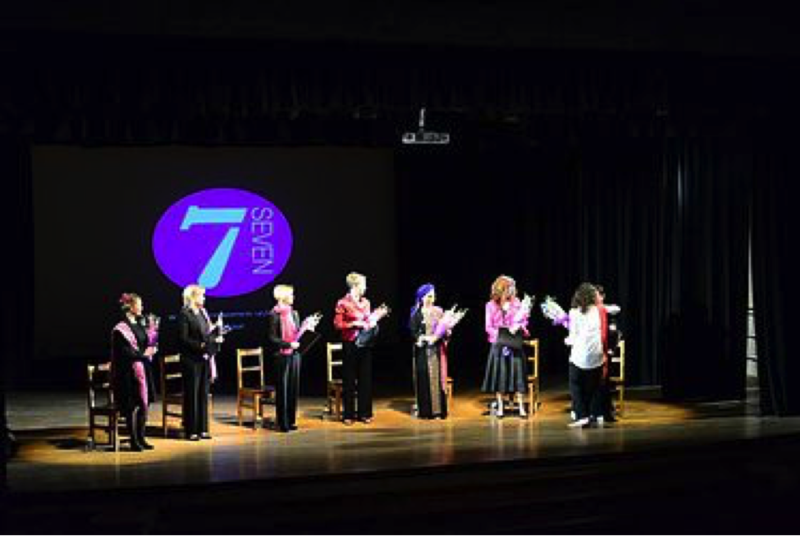 “Seven” by Paula Cizmar, Catherine Filloux, Gail Kriegel, Carol K. Mack, Ruth Margraff, Anna Deavere Smith and Susan Yankowitz tells the stories of seven women from different countries who have survived oppression. Produced by Hedda and developed into the advocacy campaign “Seven on Tour”, it has toured 28 countries, including a production in Washington DC and at NATO headquarters, where “Seven on Tour” is affecting change in profound ways. In 2015, Ukrainian VOGUE featured an article about abusive issues for Ukrainian women and the campaign has involved thousands of decision makers, artist, students and activists encouraging women to leave abusive relationships, speaking out and pushing for legislative changes and mainstreaming women’s rights issues in countries like Serbia, Bangladesh, Ukraine, and Afghanistan. It has also strengthened individual activists in their communities like pioneering Roma women’s rights activist Fatima Naza from Montenegro. Hedda’s “The Unwomanly Face of War”, which premiered at the Swedish Royal Dramatic Theatre in 2015, is an adaptation of Svetlana Alexievich’s documentary novel “War Has No Female Face”. The story is based on hundreds of interviews with women who told the stories of more than 800,000 women who fought in World War II’s Red Army. Their efforts in battle were not officially recognized and they were stigmatized in their society. This production gives voice to these women who were forced into silence. Post performance talks involve female former guerrilla and freedom fighters from Eritrea, Iran and Finland now living in Sweden.